Do you ever have one of those moments when you can't decide if something is totally awesome, or ridiculously bad? 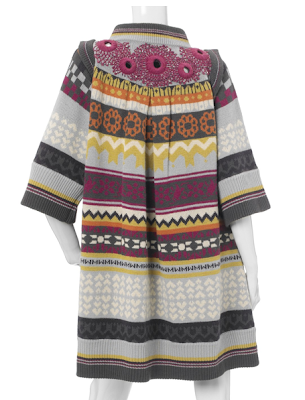 I'm having one of those moments with this Matthew Williamson coat. What do you think? Eh, I'm thinking bad. But if any one I know could pull it off, it would be you.